Requests may be entered by those needing prayer directly through your existing website. They may also be added by staff at any login level. 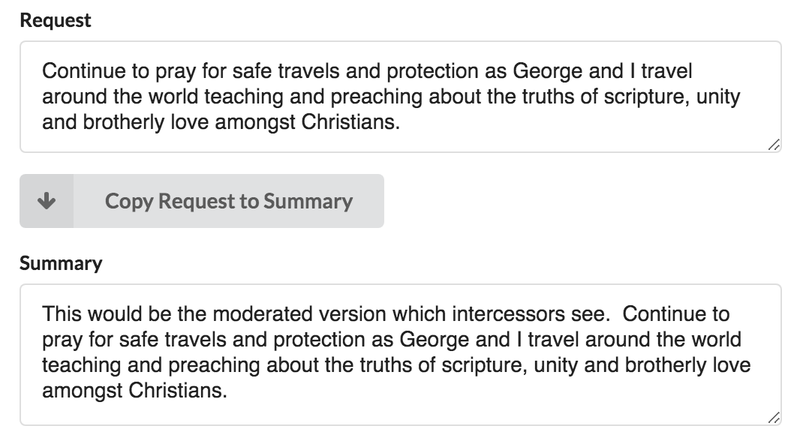 All requests are moderated to make sure the request is appropriate for intercessors. 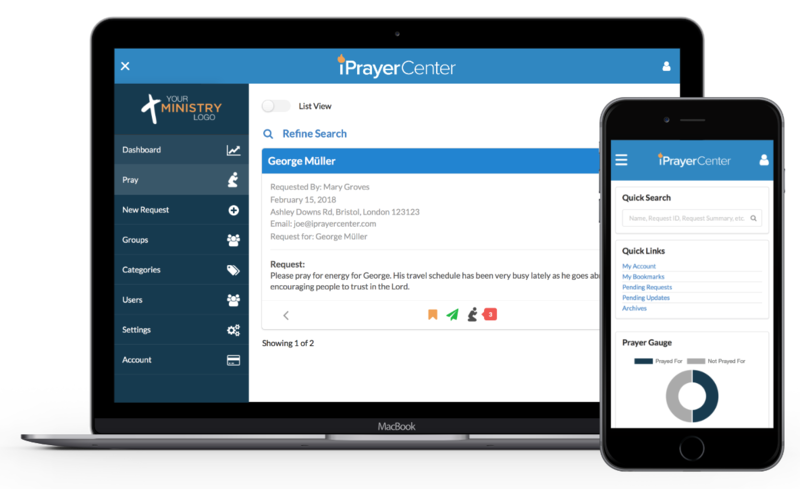 Once approved for intercession the intercessor can build reports with our simple-to-use Prayer List Builder. 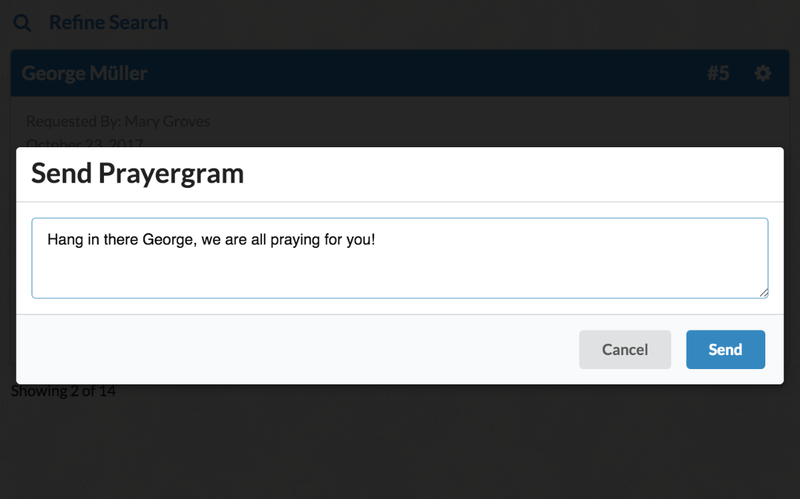 As intercessors pray through requests they can send "PrayerGrams" via the built in email feature. Requests are displayed so that unprayed for requests always rise to the top of the list. Requests can be restricted to an unlimited number of groups. This means that your care group or Sunday school class can have their own private area for requests. 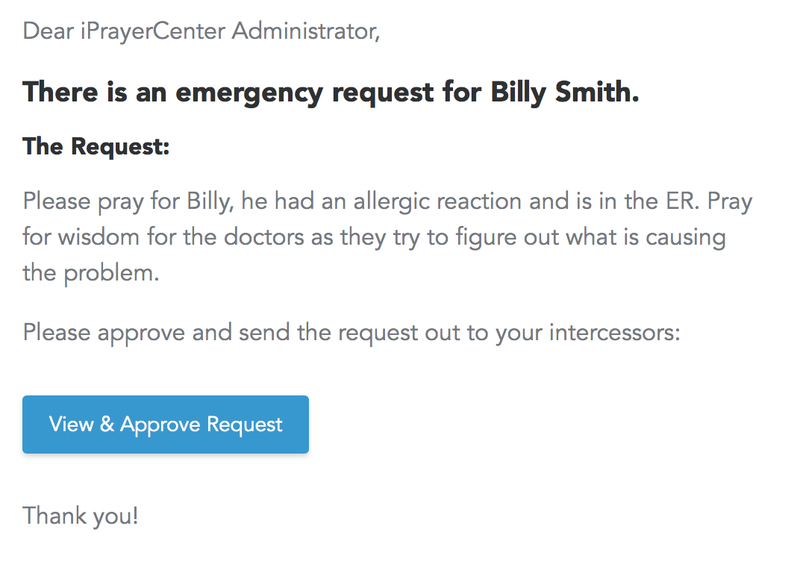 When a request is flagged as an emergency the system can automatically send out a mass email to all your emergency intercessors for immediate prayer. 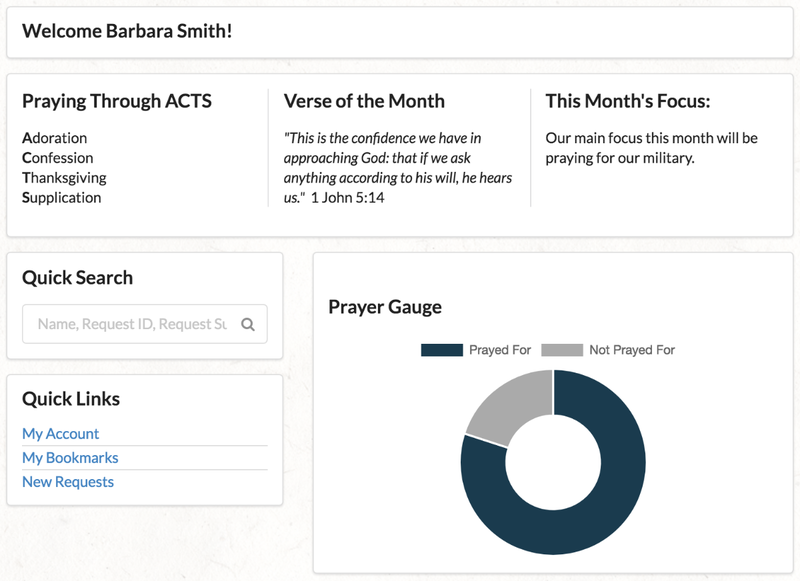 Use the customizable dashboard to communicate with your prayer team. View unprayed for requests, bookmarks and last saved search. 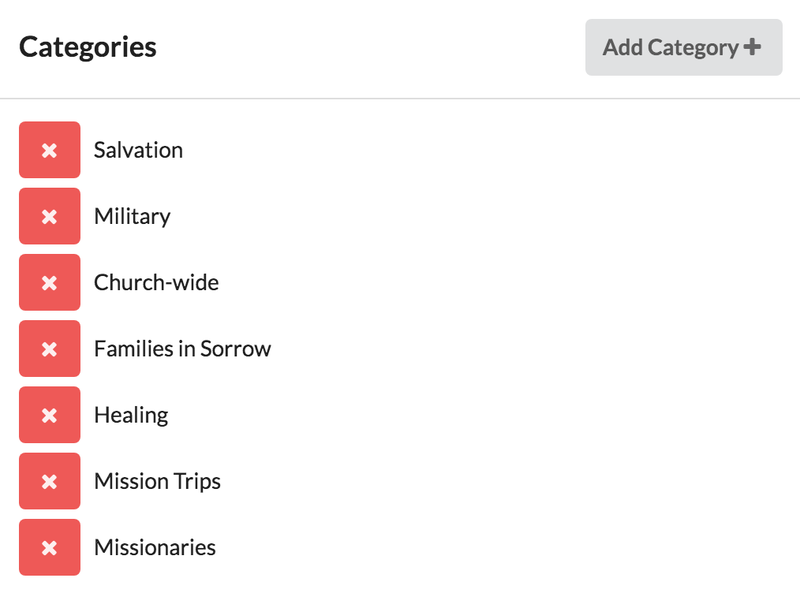 You may set up categories that apply for your ministry. 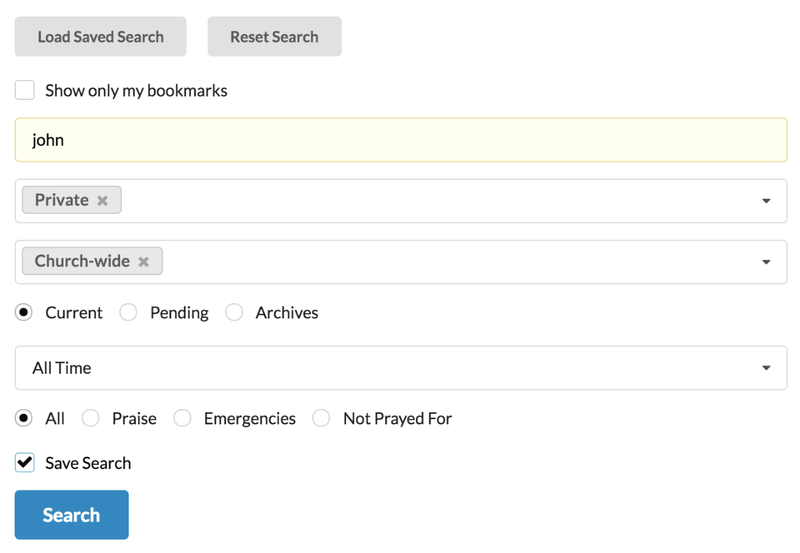 Categories help you to limit your list to pray for specific types of requests. With your iPrayerCenter system you get full functionality, unlimited number of users and the ability to process unlimited requests. No Setup Fees, No Contracts, No Limits.